Wednesday 14 June 2017: Neuroscience Research Australia (NeuRA) Senior Neuroscientists, Dr Sylvia Gustin and Dr James McAuley, are undertaking a brand new research program to unlock information around the reasons for chronic pain. Chronic pain is a significant problem worldwide which impacts one in three Australians and results in enormous suffering and costs to the individual, as well as their loved ones. Despite the availability of pain medications and other pain therapies, an ideal treatment which benefits the majority of sufferers has not been identified and most of the available therapies have significant side effects, or risks of serious adverse events. There is an urgent need to identify, develop, and evaluate new chronic pain therapies. Dr Gustin and Dr McAuley’s research program is working to address this need by developing and evaluating treatments which can provide pain relief via the primary source of pain: the human brain. Their research has identified biochemical, structural, and functional alterations within the thalamus that are now known to play a key role in the development and maintenance of chronic neuropathic pain. This new approach targets these thalamic changes to ultimately treat chronic pain. In a pioneer study at NeuRA, these thalamic changes will be modulated, which Dr Gustin hopes will lead to significant pain reduction. Dr Gustin says this technique teaches individuals to gain control over their brain activity in a way which reduces their pain. 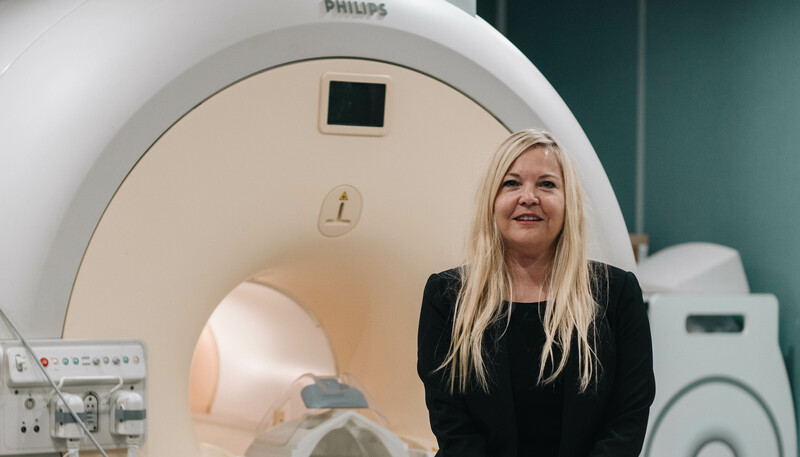 “An important part of the program is a nested mechanisms study which applies causal mediation analysis to state-of-the-art brain imaging data so that the precise brain processes which underlie therapeutic change can be identified,” said Dr Gustin. Further research has identified anatomical changes within the medial prefrontal cortex in chronic pain sufferers. This is the brain’s major processing centre for emotions. In a new study, Dr Gustin will determine the nature of these anatomical changes. The results from this study will provide vital information which will help to unlock the reasons for chronic pain. In addition, it will provide new information which is needed to develop pain medications which specifically target discrete brain regions. Watch Dr Gustin on ABC’s Ask the Doctor as they explore chronic pain here.